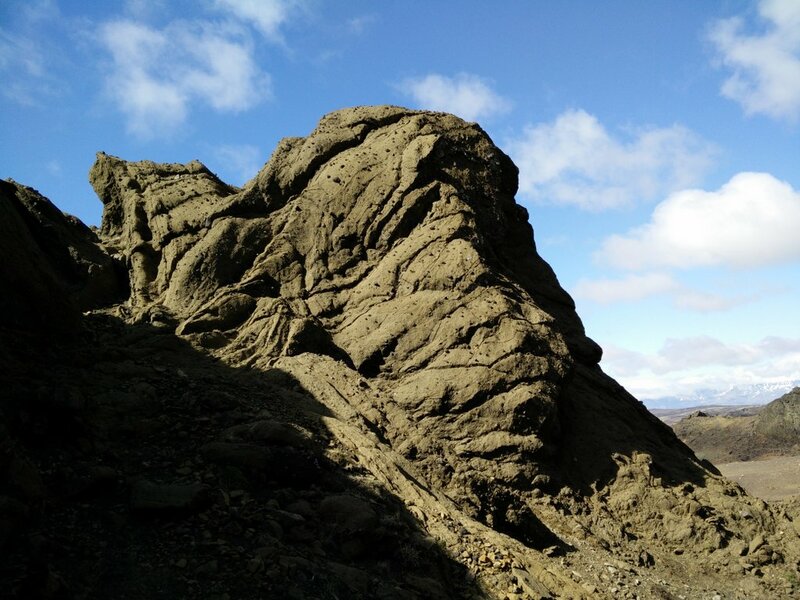 Helgafell is an around 350 meters high mountain near Hafnarfjordur in Iceland. 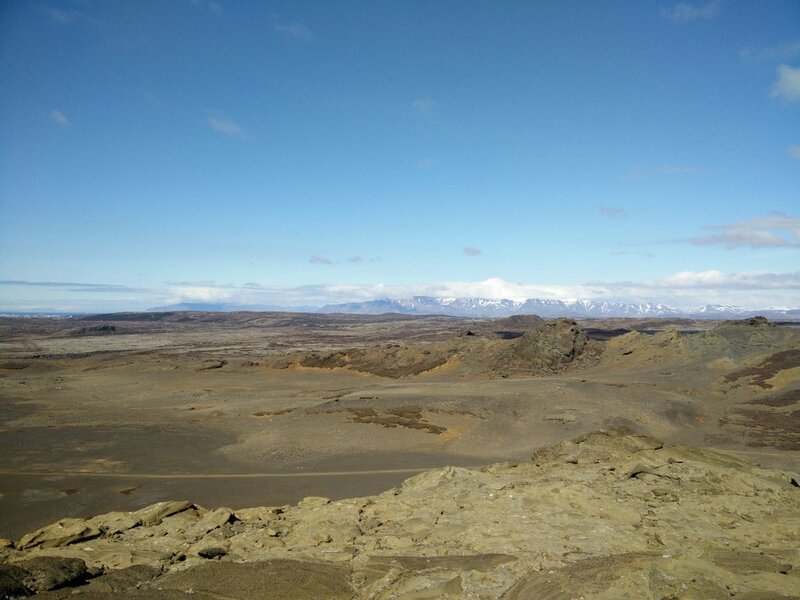 I have started my “Hiking Iceland” season with small mountains because summits of bigger mountains are still covered with snow. 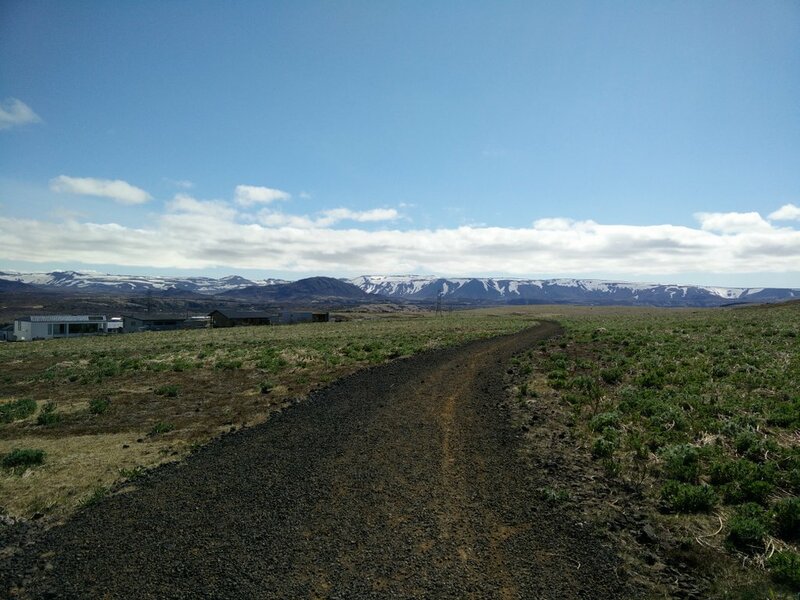 I didn’t bring crampons to Iceland because I believed that snow would not be an issue in June. However, I was wrong and as it is I will be stuck climbing insignificant mountains for at least two weeks more. 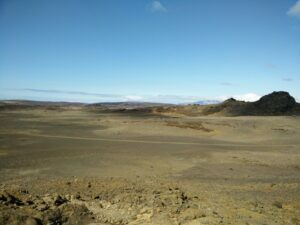 I chose Helgafell because the starting point is easy accessible with public transport and the landscape seemed fascinating on the images I found on the internet. The mountain itself is quite far away from any public transport routes and so this trail starts at the nearest bus stop called Vortutorg. Keep in mind that the actual mountain climb starts only after walking approximately 7 kilometers on a relatively flat terrain. 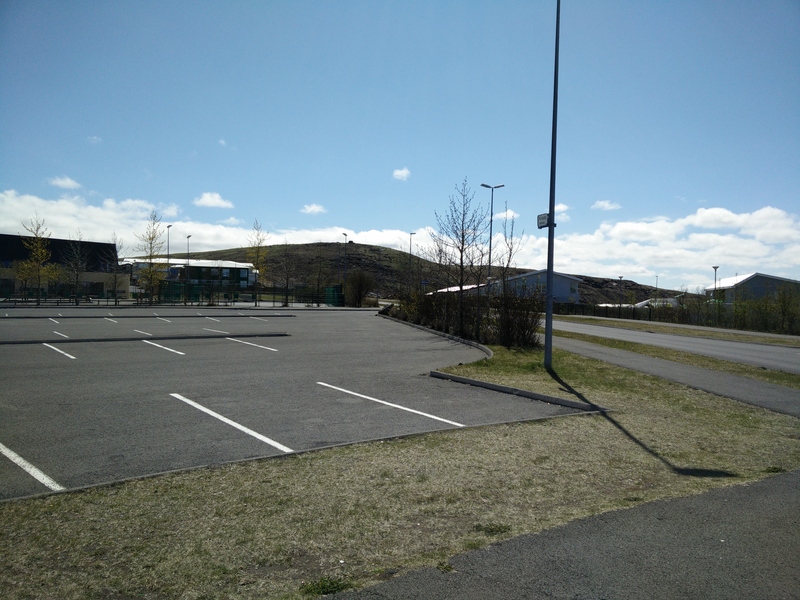 To reach the starting point, take bus number 1 from Hlemmur main bus station in Reykjavik to the bus stop called Fjordur (approximately 30 min.). At Fjordur bus stop take bus number 44 to Vortutorg (10 min.). The GPS route attached above starts here. For more details about bus schedules check Straeto’s website. This trail requires good fitness because of the great distance. For the first 500 meters you walk on a asphalt road. Then you turn right and walk on a wide dirt track. 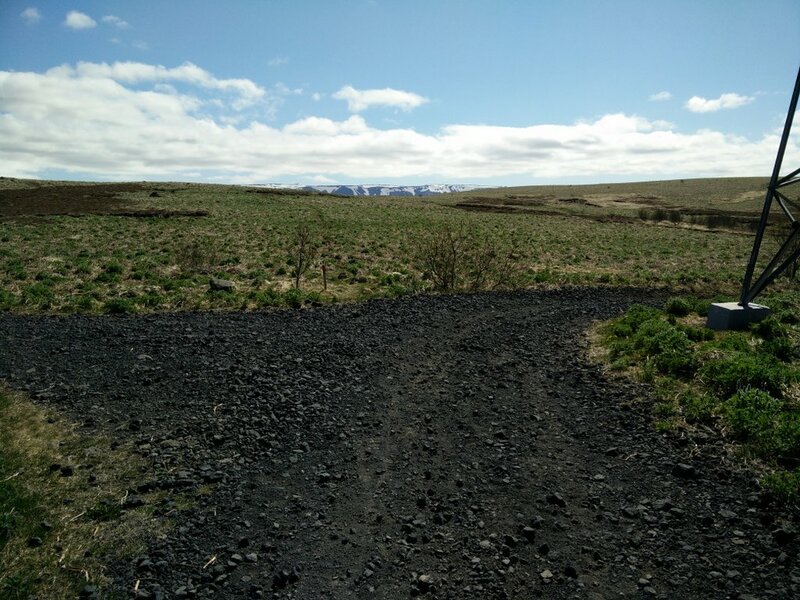 After 700 meters the dirt track splits into two, but you continue straight ahead on the narrow path which is marked with wooden sticks. The path leads you out in a landscape covered with small bushes and if you for any reason should stray away from the path in spring season, be aware of nesting birds near the ground. 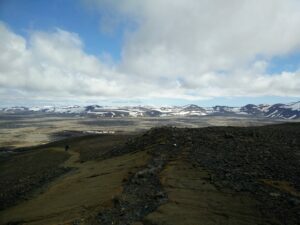 The path goes over a hill top and then down to the Hvaleyravatn lake. At the time I was doing the hike, many people were hanging out at the lake. The lake is really nice but not suitable for swimming since the water temperature is very low. Then you walk around the western side of the lake on a narrow path that soon ascends and leads you to a wide dirt track. Now you will clearly see the mountain ahead of you and all you have to do is to follow the wide dirt track to the foot of the mountain. The ground will initially be covered with small bushes as before, but increasingly get more stony and flat. 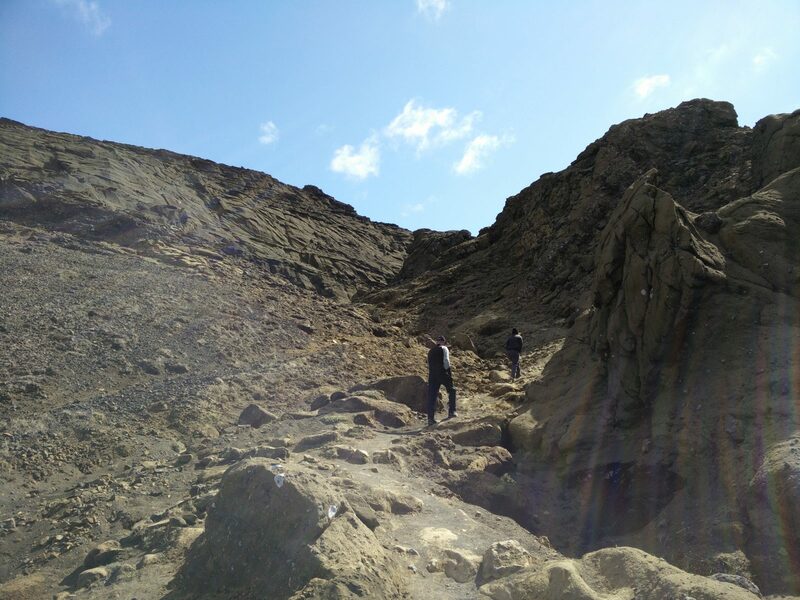 The climb to the mountain is quite steep and therefore I advise you to use good hiking boots. 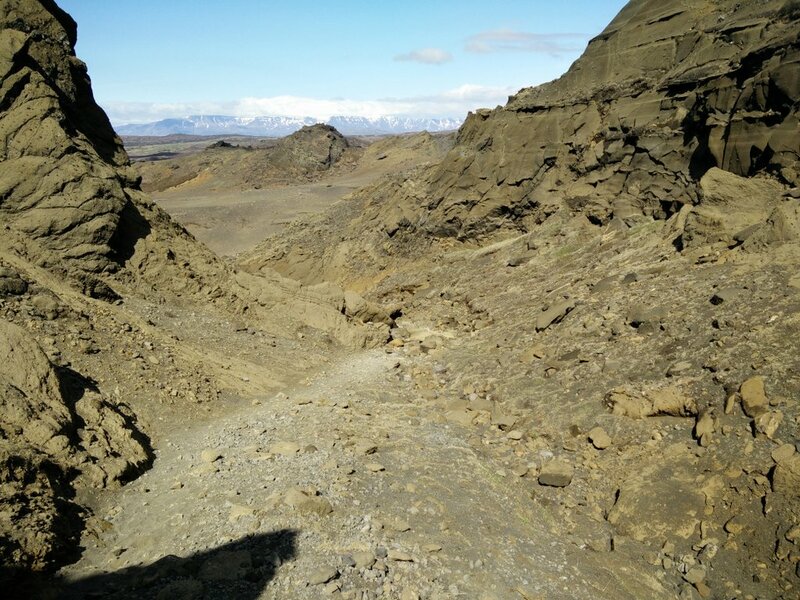 The terrain is more or less rocky which also make navigation harder since the path is not always clearly visible. Use the GPS route attached above on your device for assistance. From the foot of the mountain to the top you will need approximately 40 minutes in a steady tempo. 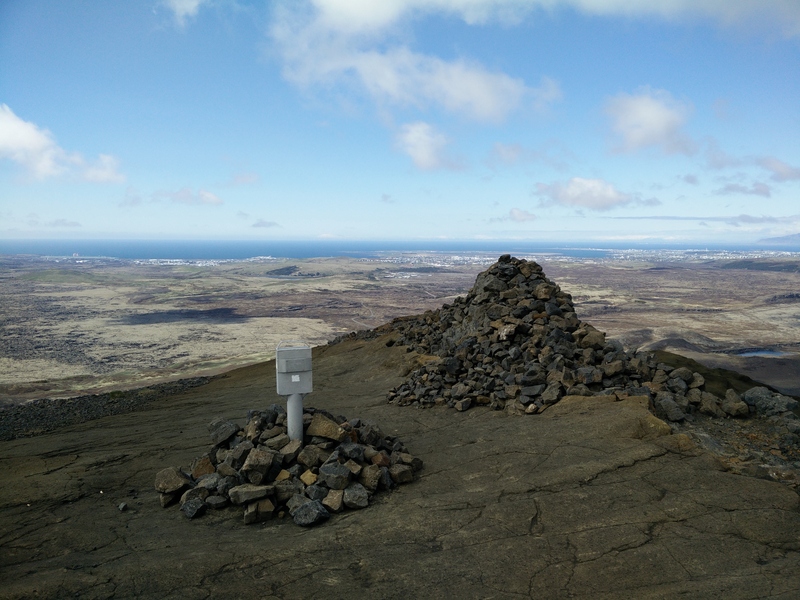 The summit offers great view on the Atlantic Ocean and the higher mountains surrounding Helgafell. For the way back I used the same path as for the way up. It gets a little boring walking on the same route but I really couldn’t find any alternative, except the main road which was probably filled with cars. 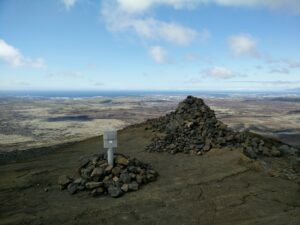 Since I knew the wind would be strong and the duration long I wanted to be decently equipped on this hike. I was wearing a synthetic Under Armour t-shirt, Woolx Blizzard Top made of Merino wool, windproof Schoeller AB400 pants, Woolx Merino boxers, Woolx Merino hat and Salewa Mountain Trainer Mid hiking boots. In the backpack I carried food, water, thermal underwear, a jacket and other accessories. Keep in mind that the wind can be very strong and temperatures very low in Iceland, even in summer. I advise you to wear warm and wind-resistant clothing. Also the weather can change very quickly. Woolx Daily Boxers are made of 100% 17.5 micron Merino wool which is extremely soft and pleasant to wear. They are very comfortable and great at maintaining the body’s natural temperature. The seams are flatlock stitched, additionally increasing comfort and durability. Because of these characteristics they are perfect for long hikes in challenging conditions. I was very satisfied with them on this hike because they were keeping me warm throughout the day. When I came home I noticed that it takes longer to dry them than synthetic boxers, but this is not a problem since they provide warmth even when wet – a natural characteristic of Merino wool. All in all I was impressed with the comfort and functionality of this amazing piece of clothing. The Helgafell trail is best for those who want to spend a day in the nature observing an amazing landscape and climb a small mountain with great viewpoint in between. The hike is long and therefore I recommend it to those who are well prepared. The last part of the path is also quite steep, so you will need hiking boots that provide decent grip. Don’t forget to check the weather forecast before going.